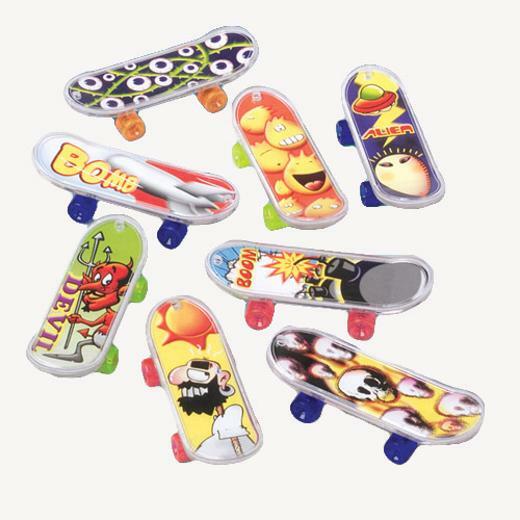 Fingers can do Mctwists with these fun toy skateboards. Colorful and exciting designs adorn every deck. The toy skateboard is perfect for any party favor bag. Trying to find a fun novelty or party favor? Then look no further than these finger skateboards. These exclusive novelty toys are fun for kids of all ages. L: 6.95 in. W: 1.75 in. H: 8.45 in.